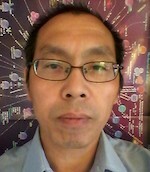 Dr. Yongqiang Chen received his Ph.D in microbiology from University of Manitoba in 2005. He undertook his postdoctoral training at CancerCare Manitoba and University of Michigan. Currently, he is a research associate at CancerCare Manitoba. His expertise lies in autophagy, cell death, oxidative stress and signal transduction. He contributed to the pioneer studies in the roles of oxidative stress in autophagy and autophagic cell death, and the switch between procell survival and pro-cell death autophagy plays in cancer cells.